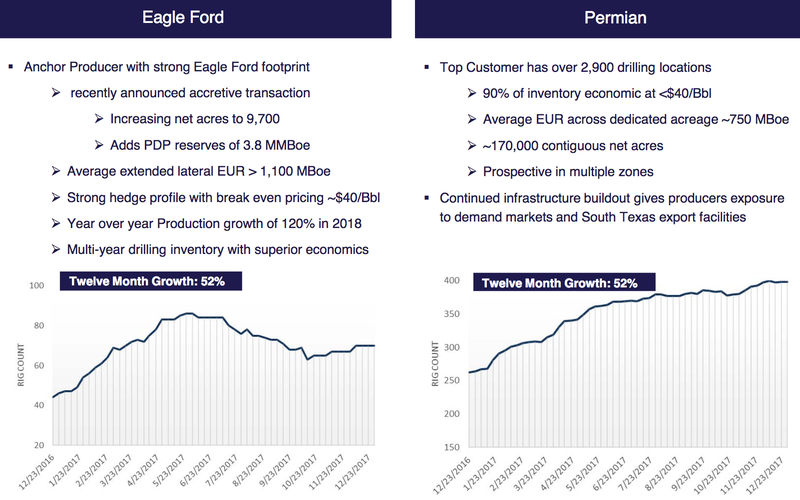 Due to a generous 8.7% discount to its post-buyout price/unit, we just increased our holdings of Southcross Energy Partners (SXE), a smaller midstream LP, which is being bought by American Midstream Partners LP (AMID). The deal is supposed to close by the end of Q2 2018, and it has already been approved by SXE and AMID unitholders, and has received final state approval. 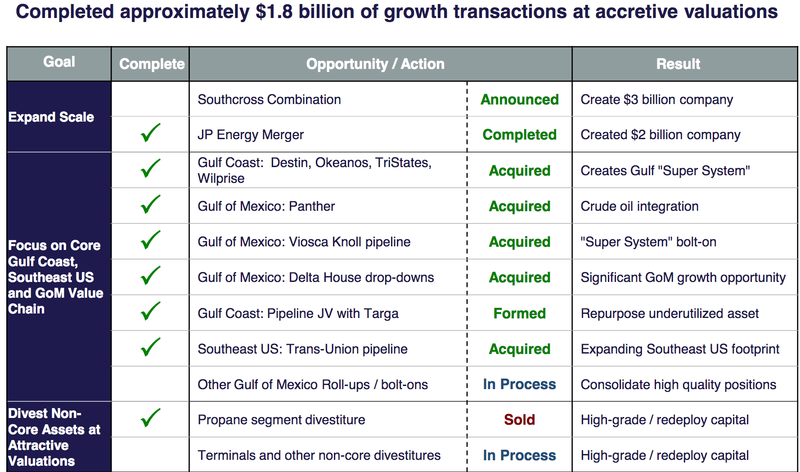 Deal highlights – Among many other positive attributes, AMID’s mgt. sees this deal as being immediately accretive to its Distributable Cash Flow. This makes sense – SXE used to pay $ .40/unit quarterly, but eliminated its payout in February 2016. However, SXE generated $ 25.36M, and AMID generated $ 89.88M in DCF over the past four quarters. 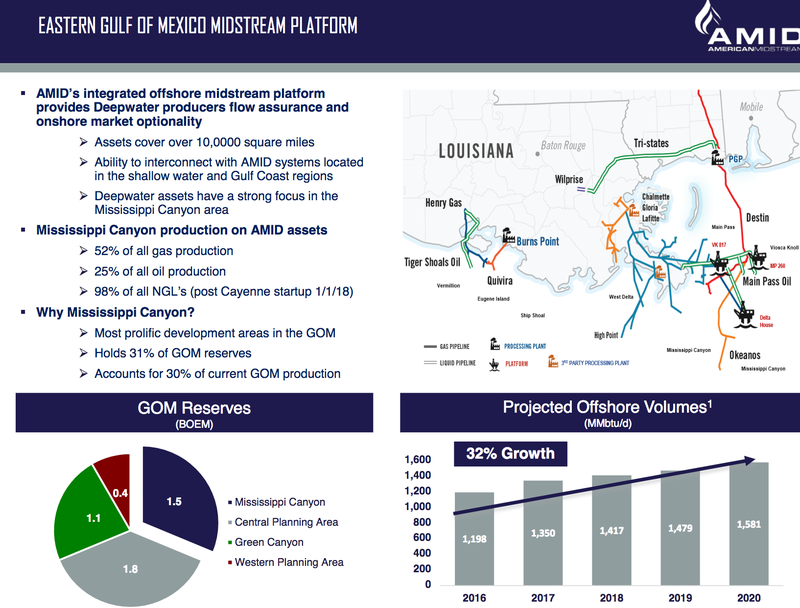 AMID has significant offshore assets in the eastern Gulf of Mexico, an area which is projected to see 32% production growth over the next 3 years. Technological advances should also reduce production costs for Gulf oil. AMID’s Delta House asset has been under maintenance, which has reduced its output. 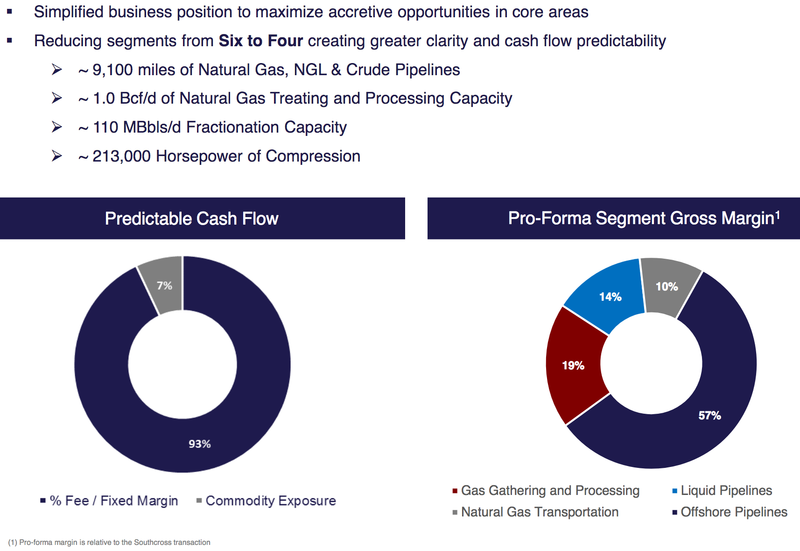 On the Q1 call, management pointed out that “current production is just under half of pre-maintained levels or about 55,000 to 60,000 barrels a day equivalent. However, by July, we anticipate the crude oil and natural gas volume should increase from current levels by 64% and 155%, respectively”. 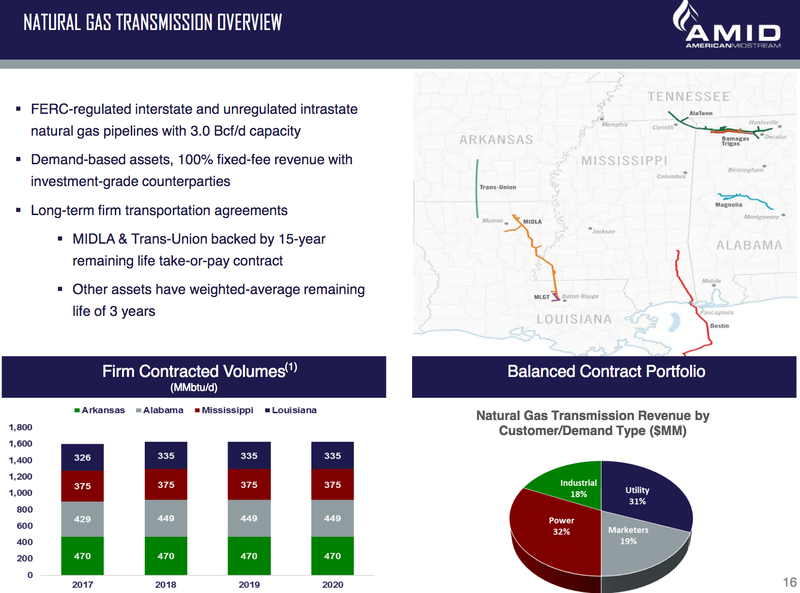 AMID’s natural gas transmission segment has significant firm, take or pay contracted volumes in Arkansas, Alabama, Mississippi, and Louisiana, with a balanced customer mix. 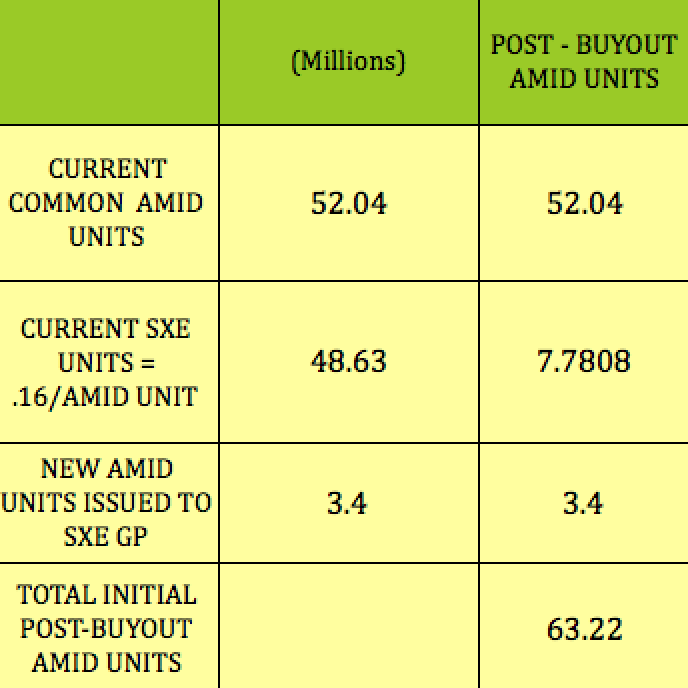 SXE continues to sell at a discount to its post-buyout price, which is equivalent to .16 units per AMID unit. With AMID at $ 10.00 on 6/21/18, SXE should have been trading at $ 1.60, but it closed at $ 1.46. 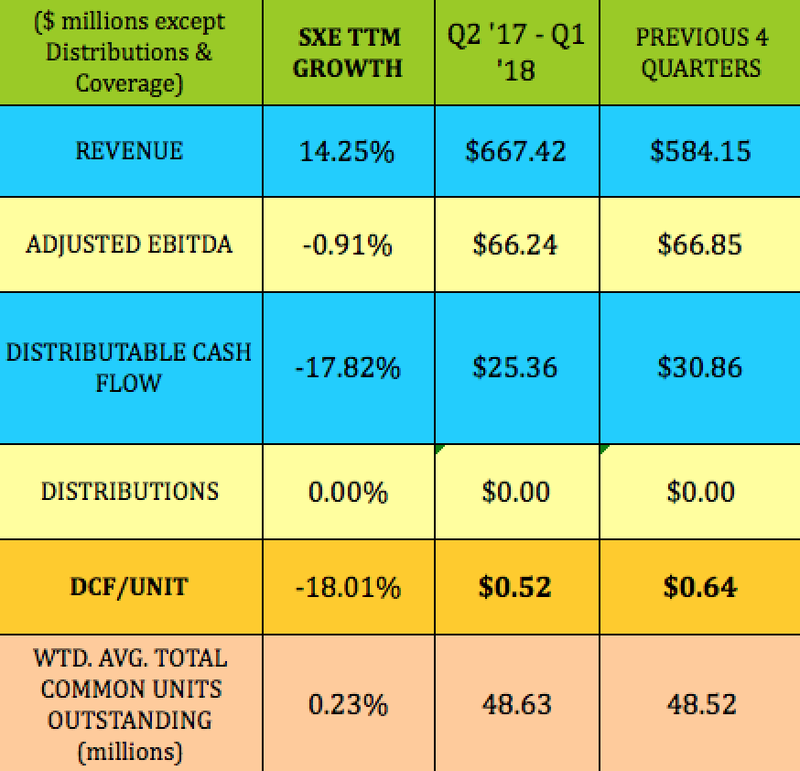 SXE doesn’t currently pay a distribution, but after the buyout, the converted SXE units will receive the same $ .4125 quarterly payout as current AMID unitholders. There shouldn’t be any immediate threat of the Series E convertible preferreds converting into more AMID common units since they can’t convert unless AMID’s common price goes higher than $ 22.50, which is over twice its current price level. 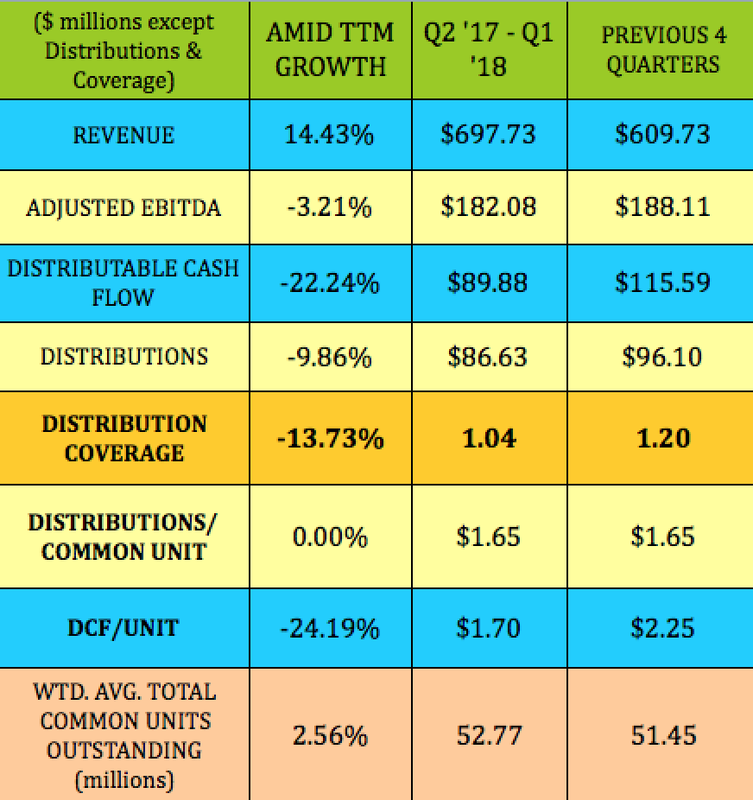 We calculated what the post-buyout distribution coverage should look like, using the combined trailing Distributable Cash Flow/Unit of both companies as of 3/31/18 vs. AMID’s current $ 1.65/year payout. 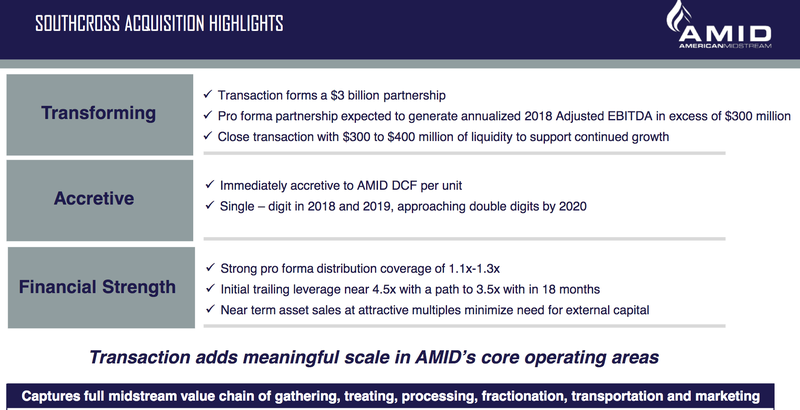 Judging by AMID’s and SXE’s trailing figures, this deal should be just what the Dr. ordered – both companies should emerge stronger as one entity. Due to non-core divestitures, AMID has had declining DCF and distribution coverage, with coverage falling to 1.04X. EBITDA has been down slightly over the past four quarters as of 3/31/18. SXE’s EBITDA has been just about flat, but its DCF fell -17.82% over the past four quarters. In addition to its divestitures, AMID’s management has made a series of acquisitions in order to transform the company into a more stable cash flow model. AMID hasn’t gone to the equity markets to fund these acquisitions. The market has pressured SXE’s price/unit to an extreme point – it’s currently selling for just 15% of Book Value and .11X Price/Sales. SXE’s Price/DCF of just 2.81X is also the lowest valuation we’ve seen in many moons. 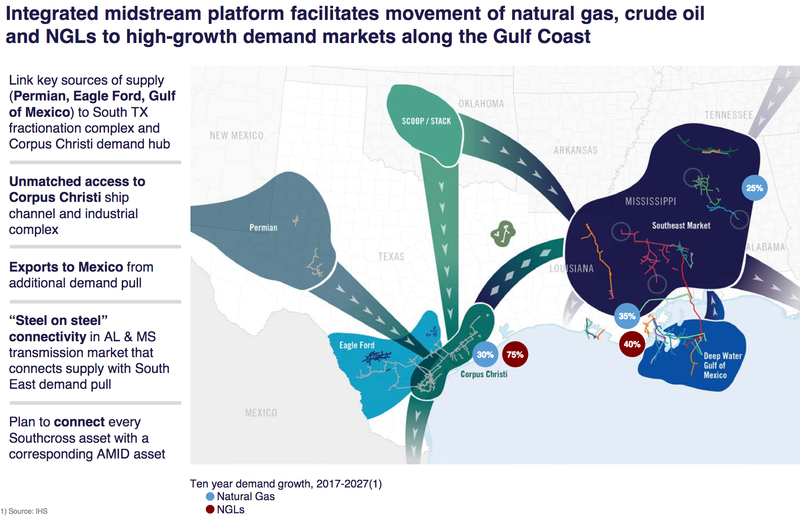 In February, AMID announced a definitive agreement for the sale of its refined products terminaling business to DKGP Energy Terminals LLC, a joint venture between Delek Logistics Partners LP (DKL) and Green Plains Partners LP (GPP), for approximately $ 138.5 million in cash, subject to working capital adjustments. The transaction is expected to close in the first half of 2018. We assembled this table to get an idea of how the proposed debt leverage is working out. As of 3/31/18, AMID had Net Debt/EBITDA leverage of 6.63X, its leverage was 8.03X, and the combined leverage was 7X. In this table, we used AMID management’s Net Debt/EBITDA targets in tandem with its asset sales to see if the targets are realistic. 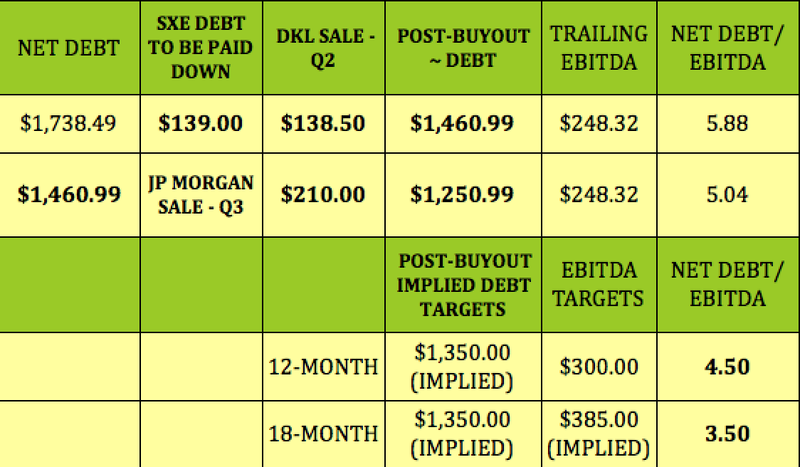 Management is targeting annual post-deal EBITDA of $ 300M and a 12-month goal of ~4.5X leverage. With the sale to DKL of $ 138.5M, and the $ 139M paydown of SXE’s debt, the initial Net Debt/EBITDA may be ~5.88X, which is much better than the Q1 ’18 figure of 7X. Moving forward to Q3 ’18, with the JPMorgan $ 210M sale, the debt could reach $ 1,250.99M, with a Net Debt/EBITDA ratio of 5.04X. This is assuming a devil’s advocate scenario in which trailing EBITDA merely stays flat, at $ 248.52M, which may be too conservative seeing that mgt. is targeting $ 300M annually. “Speculative Grade Liquidity (SGL) Rating to SGL-4 from SGL-3. Other ratings remain on review for downgrade. The downgrade of the liquidity rating to SGL-4 reflects deterioration in liquidity and Moody’s expectation that AMID will have weak liquidity over the next 12 months as the partnership continues to rely heavily on its revolver while executing on aggressive growth strategies and repositioning of its asset base”. We increased our holdings of SXE, based upon the current post-buyout price discount, and the very attractive 18% post-buyout yield. 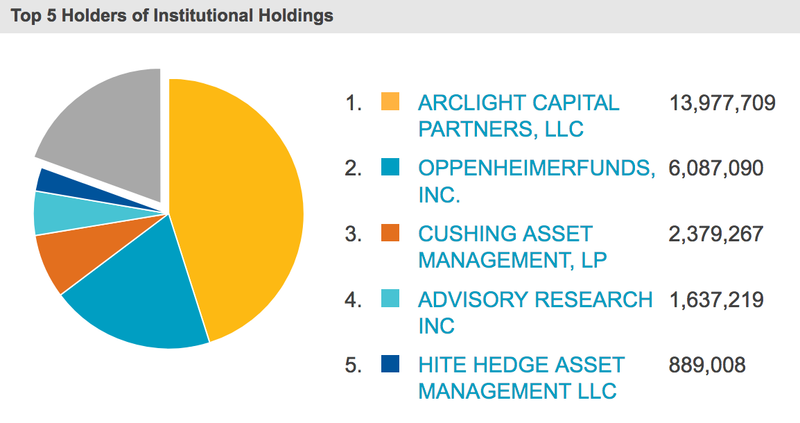 Another plus is that a very supportive, veteran energy investing firm, ArcLight Capital Partners, owns ~27% of AMID’s units. Our new Marketplace service, Hidden Dividend Stocks Plus, focuses on undercovered, undervalued income vehicles, and special high yield situations. We scour US and world markets to find solid income opportunities with dividend yields ranging from 5% to 10%-plus, backed by strong earnings. These stocks are often small cap, low beta equities that offer stronger price protection vs. market volatility. Our strategy is working in 2018 – the HDS+ portfolio is outperforming the market handily, and has an average dividend yield of over 8%. Disclosure: I am/we are long SXE, DKL.